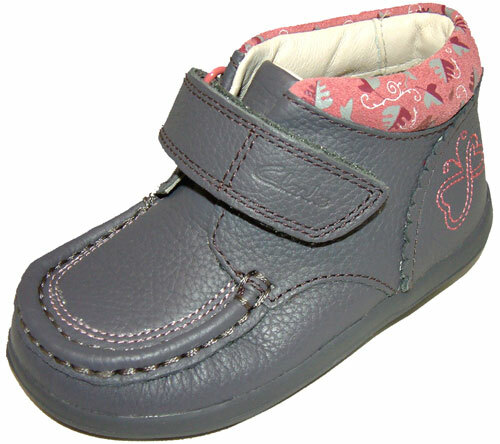 Clarks Alana Fay – comfortable and versatile grey/pink moccasin style girls boots with velcro strap, for an adjustable fit. 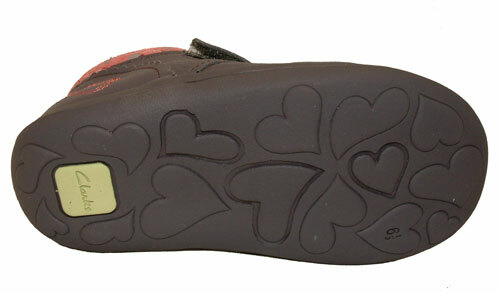 Pretty stitched butterfly motif at the heel and floral fabric around the padded ankle. 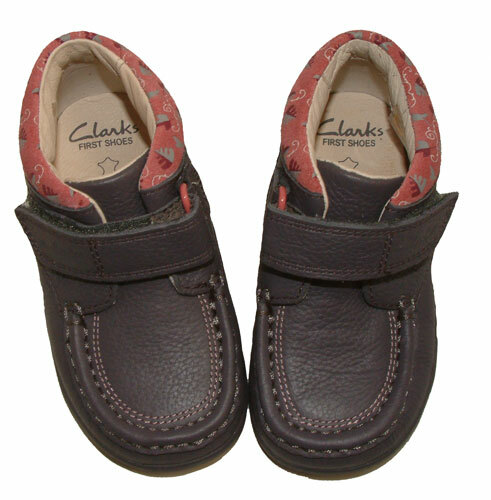 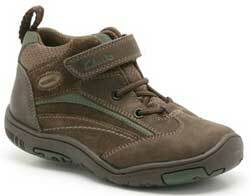 The hard-wearing but soft leather upper means these are a pretty and practical choice. 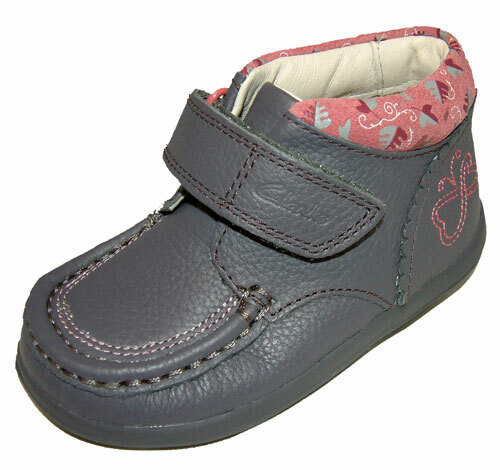 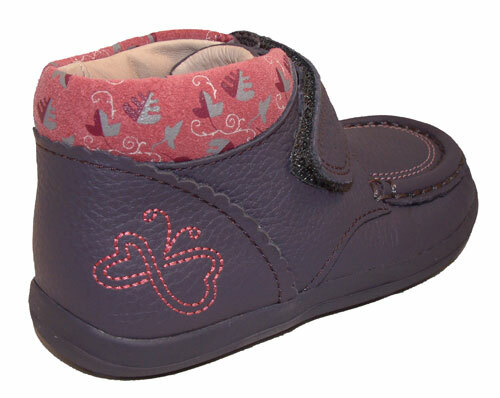 Comfortable and versatile grey / pink moccasin style girls boots with velcro strap, for an adjustable fit. 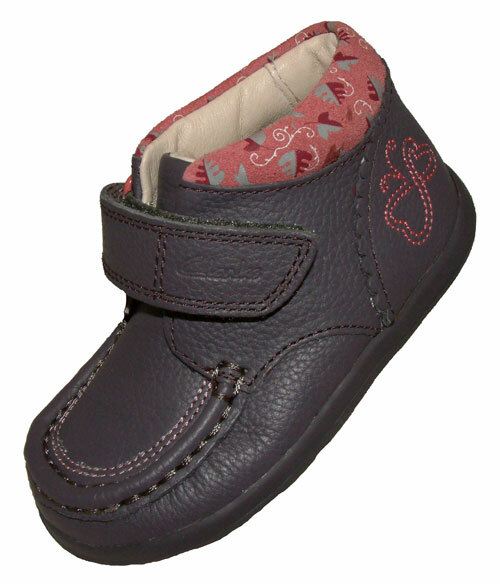 Pretty stitched butterfly motif at the heel and floral fabric around the padded ankle. 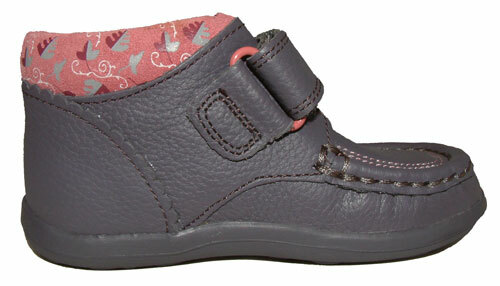 The hard-wearing but soft leather upper means these are a pretty and practical choice.